I'm so glad I finally get to show you all the newest collection to the Cinema Swatch Lacquers family. She released it a few weeks ago, then right after I received it, she was called away to be with her sick mother. I put it on hold so that there wouldn't be an influx of sales while she was away. She got back last week, got caught up on orders, and has had time to breathe. The My Secret Garden Collection is inspired by the movie The Secret Garden, but instead of characters, witty lines, or scenes from the movie, Rachel opted to name the polishes after actual flowers. She really wanted these to be a big, beautiful bouquet of sorts. There are sixteen polishes in this collection, and can be broken into three different sets, but because she wanted them to stay together as much as possible, My Secret Garden Collection is only available in minis. Normally, I'm not a fan of minis, but with the way she has treated this collection it just makes sense. YOU GUYS!!!!!! I've been looking for this beauty for so long! I already had the majority (5 out of 8) of the Holiday on Broadway Collection from OPI. I've been hunting for the last three at decent prices. I came across Man of La Mancha on someone's Pinterest sale and squealed from excitement. When it arrived, I placed it on my desk where I could just admire it's beauty until I had the time to really wear it and appreciate it. Now, that I've been able to enjoy it myself, I wanted to show it off to you all. Bid farewell to the winter blues!! It's time for rebirth, rejuvenation and freshness this spring. 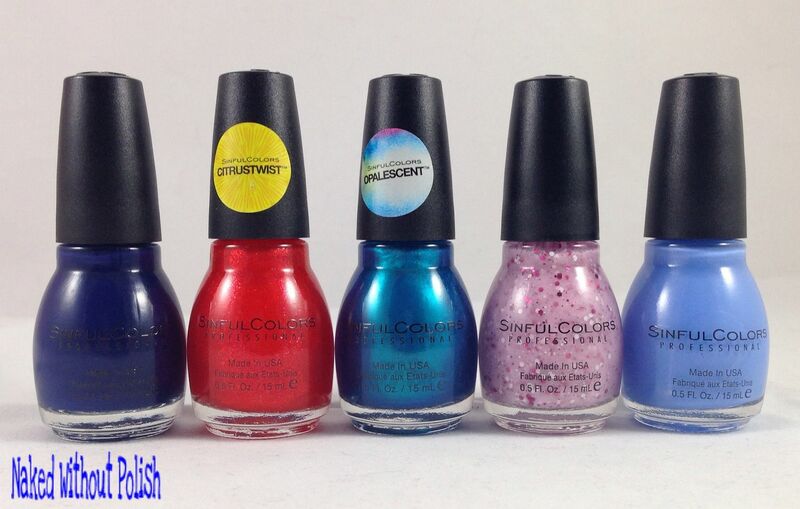 Catch a little spring fever for Spring 2015 with SinfulColors. Bust out of your winter nail rut with a comprehensive collection of 24 bold, vibrant and unexpected shots of color that capture three major nails trends of the season. Traditional, soft pastels get an invigorating update with creamy shimmer and glitter. Mood boosting zesty oranges, bright yellows and greens invoke an energizing palette of citrus-inspired colors guaranteed to invigorate your spring awakening. And calm blues, purples and teals are enhanced with iridescent toppers that make for a decorative and decadent take on classic shades. I've got five beautiful polishes from the Spring colors to show you all today. I have to admit, when they contacted me about doing this, I had a hard time deciding which ones I wanted to review. So many beautiful colors from SinfulColors this Spring. 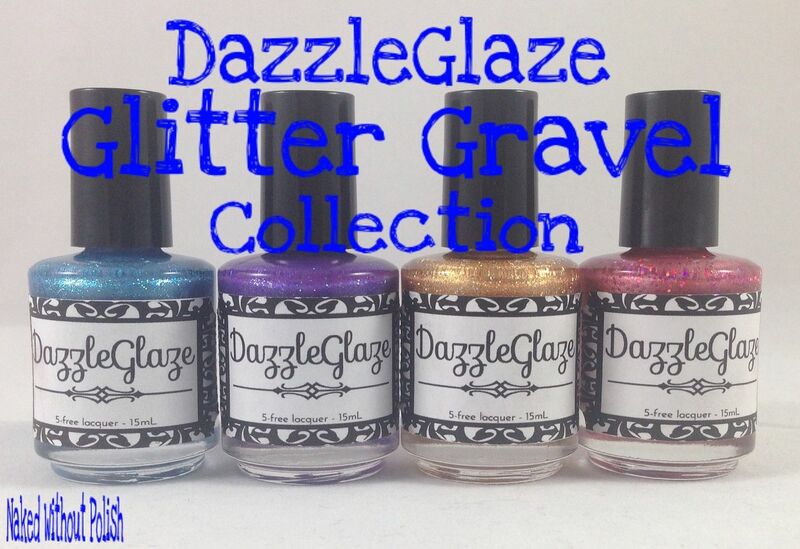 I know I already showed you all a collection from DazzleGlaze this week, but this one is special. Not only has she released a new trio, but she has unveiled a new website! She has two businesses: one is the polish shop, the other is called Radiantly Vivacious. Radiantly Vivacious has fun custom phone cases, bedazzled initials, weddings decor, and home goods. They are lovely, and you should definitely check them out! Right now, I'm focusing on the DazzleGlaze side of things and the Metallic Garden limited edition Trio, but I'm hoping to be able to get one of her phone cases when I upgrade my phone. They are adorable!! I am SUPER excited about today's post! 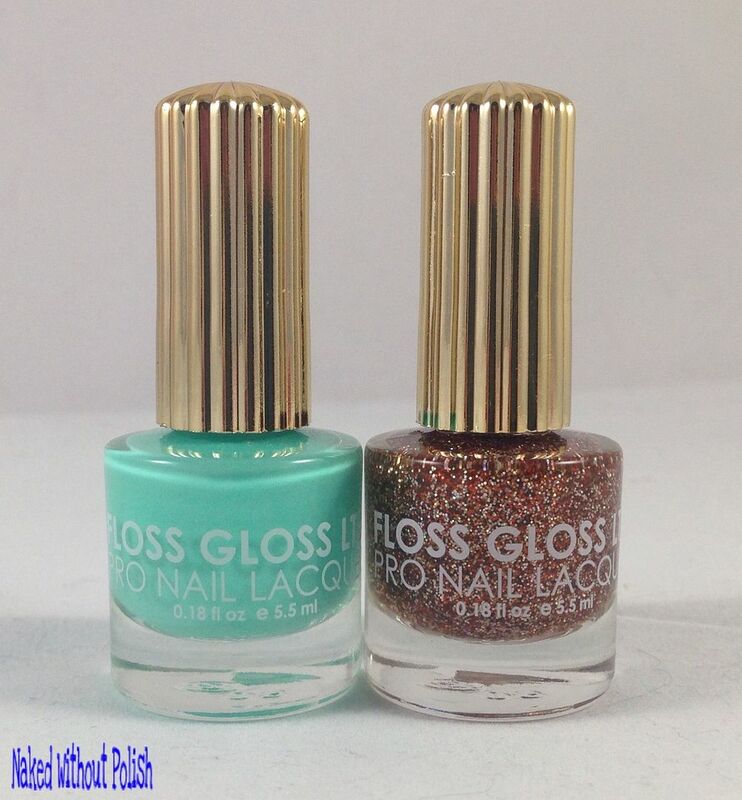 I have been wanting these two polishes from Floss Gloss for as long as I can remember knowing about them. One day, I get an e-mail from Gloss48 telling me that I had a $20 credit. I had no idea, and I immediately got excited. I started flipping through polishes and doing research on every single one. There are so many brands I hadn't really taken time to notice. After doing research, there are valid reasons why. A lot of them weren't anything special. Then I get to all the polishes from Floss Gloss. There was the hard part. Deciding which duo I wanted. I only have one other polish from them, but there are several others I have on my wish list. I finally gave my girlfriend the power to pick which one I got. She chose this one. I couldn't have been happier! I wanted to do a bigger post today, but I got to hang out with Samantha from A Girl Obsessed yesterday, so I got a little behind. I've got a single, lonesome polish for you all today. 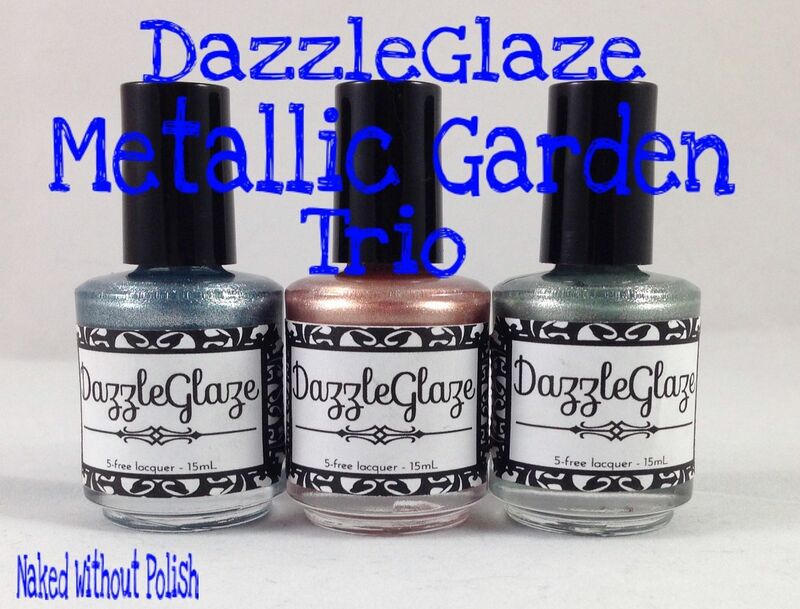 This sparkling beauty is Perky Pop from DazzleGlaze. Ready for a little surprise in a bottle? Who is ready for Spring?! I can't say that I am. I absolutely adore the cold weather. However, I become obsessed with neons and pastels in the winter. I think bright colors and snow are heavenly together! Spring or Winter, SuperChic Lacquer has created the Serendipity Collection that is perfection year round! I have five beautiful polishes from the Serendipity Collection to show you all today. 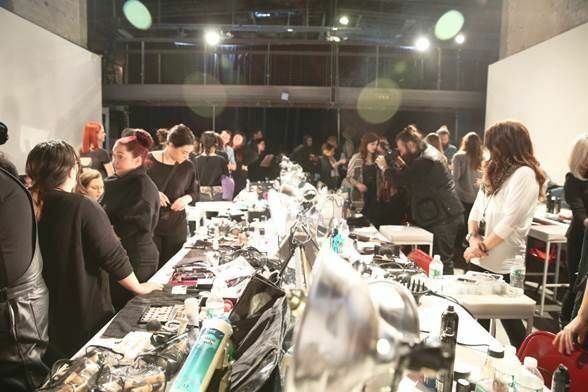 It was a busy and beautiful 2015 fall/winter collections experience for Zoya Nail Polish* during New York Fashion Week. Here is a brief recap of the backstage beauty looks and colors from Zoya to watch for next fall… or even sooner. For the AW15 season three looks stood out - wearable nail art, subtle color and naked, natural tones. Zoya created numerous custom colors as well as teasing the new Zoya Naked Manicure TM** system for key designers that wanted to be one step ahead of trend. Happy Monday, everyone!! It's a bit chilly here, and for whatever reason they've closed schools...AGAIN! UGH! No clue why. Most days they've cancelled we can't figure out why. So frustrating, but now we get another fun family day since my husband is home from work this week. To keep any of you from getting a horrible case of the Mondays, I have got swatches of the upcoming Art of the Tease Collection from LynBDesigns. Art of the Tease Collection is inspired by vintage burlesque. This collection is full of femininity, sheer beauty, mystique, and glitz. The collection oozes burlesque and it's a tease in the best sense of the word.